Gift of Adrian Sassoon Esq. 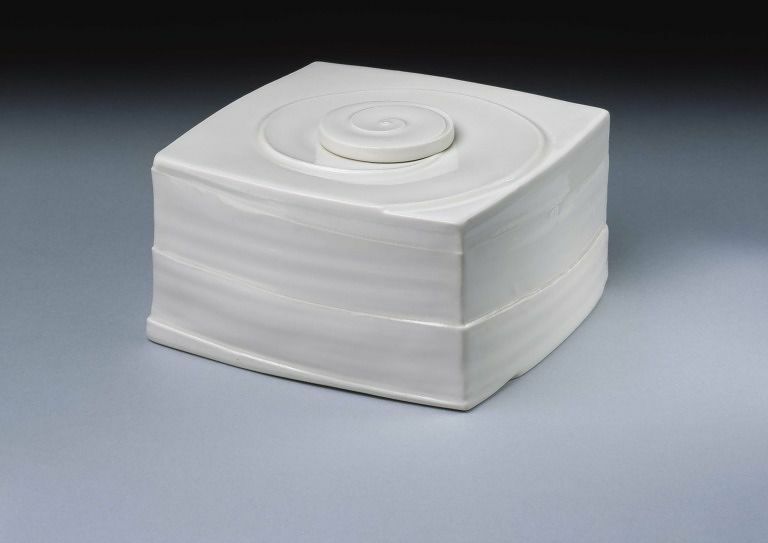 Since prehistoric times, people have used durable ceramic vessels as containers for cremated ashes. This funerary jar forms a part of that tradition. Many studio pots prompt us to think about how we hold or use ceramics, particularly for food and drink, but here Julian Stair offers an alternative perspective on the relationship between the vessel and the human body. The unusual shape of the jar was made by throwing a cylinder, then cutting it into four sections. Stair flattened each section, and then joined them back together to make a square. 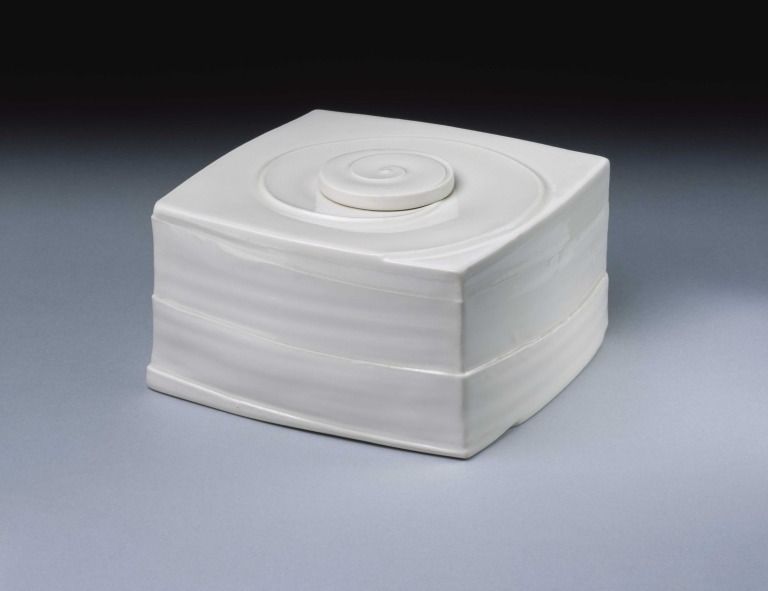 Square funerary jar with lid. Constructed from thrown sections, the walls being made from a thrown cylinder cut into four sections, flattened and reassembled. The surfaces are decorated with an incised spiral line. 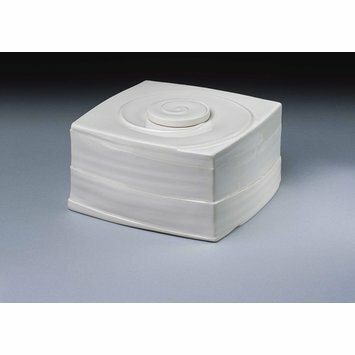 Porcelain with a semi-transparent glaze. Made for the V&A exhibition "The New White". The jar is one of a series of "caddies" produced by Stair, but it was at this exhibition that Stair first revealed their identity as funerary jars. Graves, Alun. The New White: Contemporary Studio Porcelain. London:V&A. 1999.